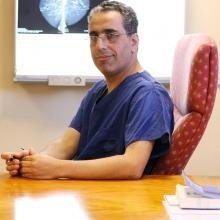 Prof Mokbel is an excellent breast surgeon and the kindest doctor I’ve ever met in my life. He would put you and your interest first. I highly recommend him and I’m so grateful to have known him! Top of top surgeon. Kind and humble. Human being before being a doctor. Prof Mokbel wouldn’t hesitate to go an extra mile for you. Professor Mokbel is an exceptionally skilled surgeon and an excellent doctor. I have achieved great results which I am very very pleased with. He has done an absolutely wonderful job. I am very grateful to him. He has a brilliant nursing team, in particular Oonagh who is absolutely fantastic. A caring surgeon. Always tries to be as helpful as possible. His work is of the highest standard and I am extremely pleased with the outcome. Prof Mokbel has a lovely manner. He made me feel that my life was important by organising my surgery swiftly and giving me every chance for recovery. These characteristics also extend to other members of the breast care team, in particular, Oonagh and Aisling, for whom nothing was too much trouble. Prof. Mokbel is a brilliant Surgeon and Oonagh, his Clinical Nurse Specialist, is just absolutely lovely. When you are going through such a terrible time in your life, they are just the perfect team to have around you. I just felt really safe with Prof. Mokbel looking after me. Highly recommended. Professor Mokbel and his team looked after me so well. They treated every aspect of my care with honesty, professionalism and reassurance. I got the best possible solution for me, and even if I do say so myself, the end result is amazing and has filled me with confidence and positivity for the future. Professor Mokbel and his team provide an outstanding service and I cannot recommend them highly enough. My operation and post operative care have all been excellent. Prof Mokbel and his team are highly professional, knowledgeable and very caring. Do not hesitate in going to see him! You will get the best care & advice. The whole team really care about each patient as an individual. I have had outstanding treatment & support from Prof Mokbel & his entire team. I have no hesitation in recommending Prof Mokbel. 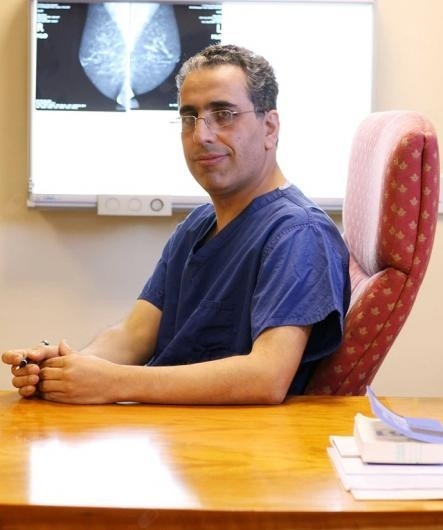 An excellent breast surgeon who is not only passionate about what he does, but genuinely cares about his patients and making sure he achieves the best possible outcome for them both medically and aesthetically.